Our Featured Product for January, 2017 (along with "Triple Goddess Sisters" Aroma*Fitness and Aroma*Immune). Just use discount code 2018TRIPLEGODDESS at checkout! 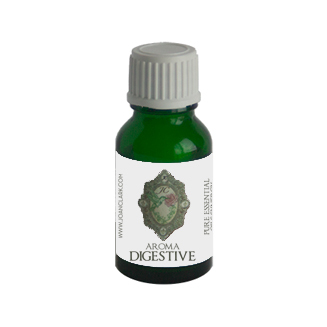 Aroma*Digestive is our synergy that supports a healthy digestive system energetically and physically-- allowing for life to be in flow and for everything in the universe to be digested harmoniously: be it food, emotions, thoughts or experiences. What are you afraid of letting go of? What are you not wanting to digest? What is causing you to not want to process and experience? What are you shielding yourself from?